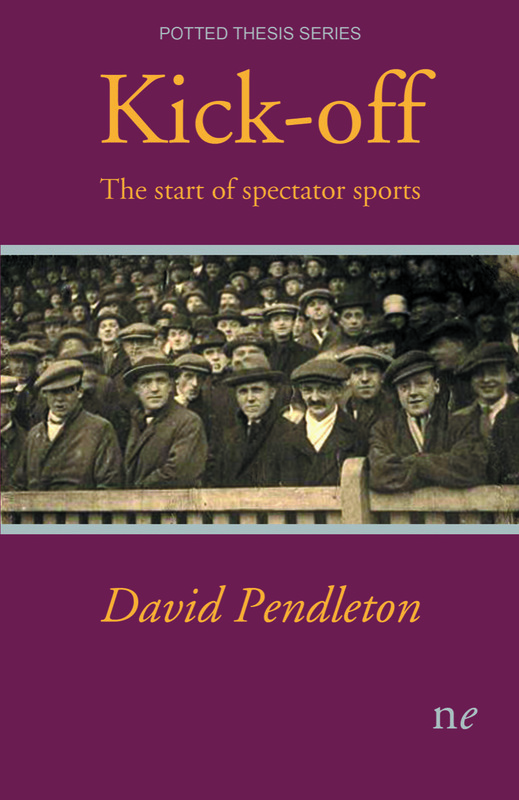 Former City Gent editor David Pendleton has recently had a new book published entitled ‘Kick Off, the start of spectator sports’. The book started life as David’s PhD thesis submitted to De Montfort University, Leicester. ‘Kick-off’ covers a large swathe of spectator sports and attempts to place them in their societal context. From the ancient ball game knur and spell to Bradford League cricket, American Indian athletes at Quarry Gap to those bedrocks of local sporting passions, Bradford City, Bradford Park Avenue and Bradford Northern, few stones are left unturned in this attempt to tell how Bradford ended up with a sporting landscape that has been largely unchanged for over a century. This wide-ranging remit of ‘Kick-off’ has attracted the attention of the prestigious Ilkley Literature Festival. On Sunday 7th October at 7.30pm in St Margaret’s Church Hall, Ilkley, David Pendleton will be joined by Dr. Philippa Velija of Solent University to discuss ‘Sidelined? Women and Sport’. Philippa is Head of Sport Education and Development at Solent University and researches women’s early participation in cricket. It should prove to be a thought provoking evening. As global audiences for sport, in particular football, rugby and cricket, the thorny issue of whether women have been excluded from sport as both participants and spectators will be aired. The history of sport in Bradford will be examined in an attempt to find answers. Undoubtedly the debate will be wide-ranging and should be of interest to non-sports fans and sports fans alike. Copies of ‘Kick-off , the start of spectator sports’ and Philippa’s ‘Women’s Cricket and Global Progress’ will be on sale on the evening and at the Grove Bookshop in Ilkley during the Ilkley Literature Festival. Tickets are on sale for the talk (£7/£5 concessions) from ilkleyliteraturefestival.or.uk or by phone 01943 816714. If any tickets are available on the night they will be sold at the venue from 45 minutes before the start time.